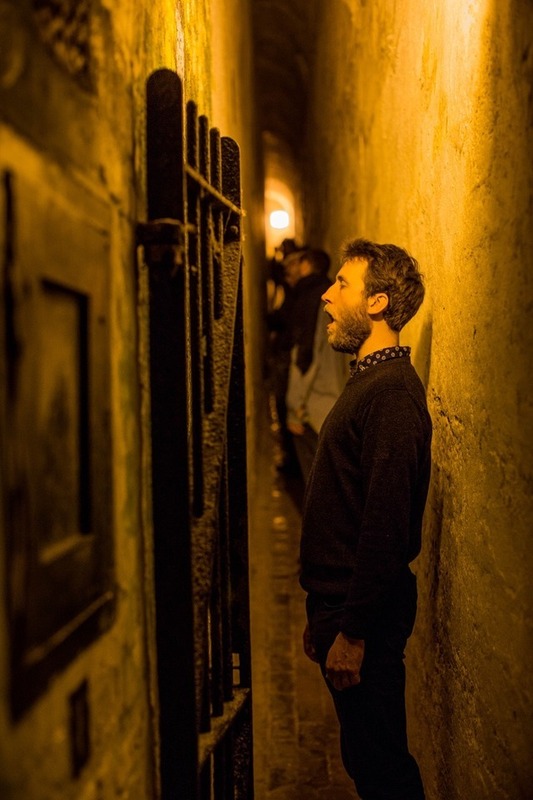 This spring, during the centenary of the First World War, composer Verity Standen created a new immersive, choral experience at three sites of historic significance in the stories of conscientious objection. The performance was devised with and performed by local male singers of all ages. Scroll down to find out more about the artist, the places and the histories that unfolded. Refrain was first performed at Richmond Castle, North Yorkshire on Friday 7th, Saturday 8th, Sunday 9th April. 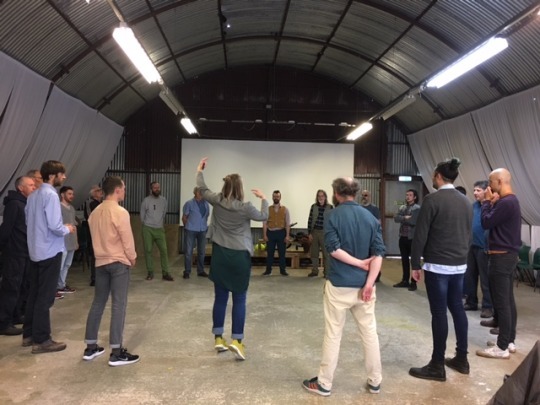 It was then devised with new groups of singers for George Street in St. Helens, Merseyside on Saturday 20th May and Sunday 21st May, and Newhaven Fort, East Sussex, with performances on Friday 9th, Saturday 10th and Sunday 11th June. You can see pictures, comments and video from Richmond, St. Helens and Newhaven in the Story section of this website. 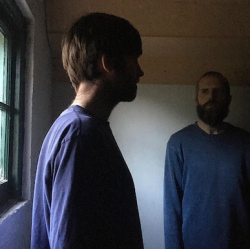 Find out about other arts projects by Situations here. Verity Standen is an award-winning artist, composer and choir leader, whose unique work with voices has surprised and enchanted audiences across the UK and internationally. From intimate concerts to immersive theatrical experiences, Verity’s work seeks to reimagine how audiences experience vocal music. 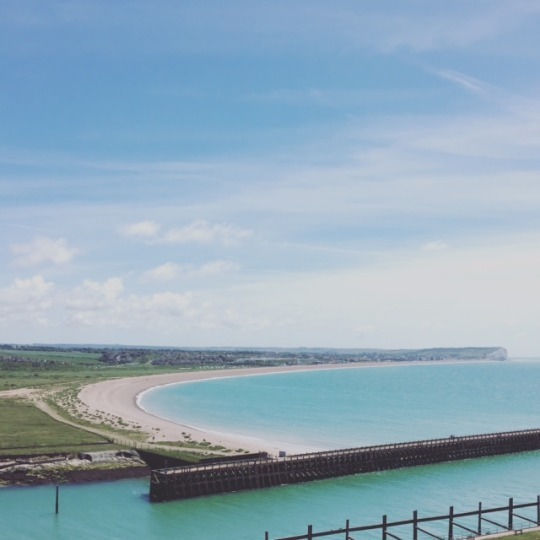 Newhaven fort, East Sussex, is the last of a long series of defences built on the cliffs overlooking Seaford Bay, the ramparts and extensive tunnel network holding 150 years of history. During the First World War, the Fort became a part of larger defences, linking with the nearby town of Seaford – the site of a work camp that now lies buried underneath the town. The North Camp at Seaford housed a number of conscientious objectors, firstly before their deportation to Northern France, and subsequently for those who refused to fight and were put to work on the road improvements between Seaford and Newhaven. St Helens, Merseyside was the home of school teacher, Ernest Everett who was arrested due to his refusal to undertake combative service in 1916. In REFRAIN, Everett’s story, symbolic of many more cases of this kind, is given voice once again. Just over 100 years ago, sixteen conscientious objectors were detained in the 19th century cell block of Richmond Castle. Before they were sent to France to be court-martialed, the ‘Richmond Sixteen’ covered the cell walls with words and drawings which inspired hundreds of other subsequent marks of resistance in WWI and WWII. The Castle which is under the care of English Heritage, and the personal testimonies contained within it, offers a potent context in which to explore current considerations of conscience and sacrifice. Find out more about the stories of the Richmond Sixteen and the Castle. In Richmond, St Helens, and now Newhaven, dozens of local men came together to perform Refrain. As the performances have now all taken place opportunities to join the project are now closed. You can see images, video and comments from singers in the Story section of this website. Thank you to all those who also got involved as Refrain stewards in the three locations. All performances of Refrain have now taken place. Tickets are no longer available. For the full story, please scroll down to the bottom of this page and click view more posts. Refrain Newhaven audience member reflects on her experience. 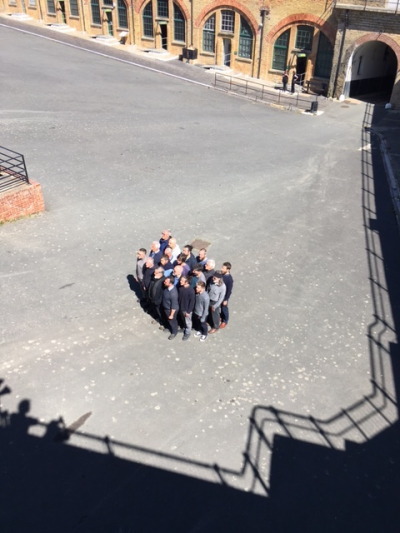 The sun beats down on the Newhaven local male singers as they form the final ‘clump’ of the Refrain performances in the parade ground of the Fort. 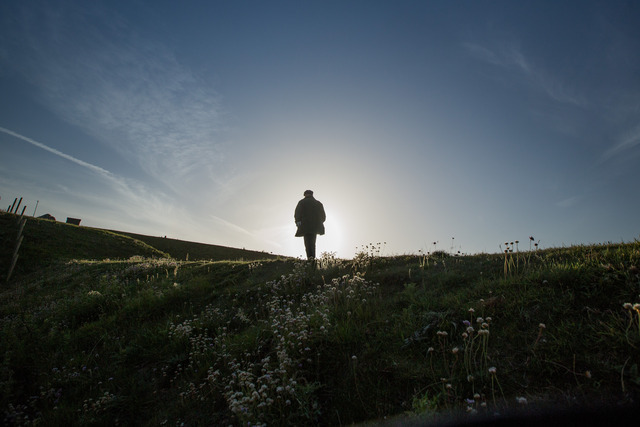 - #Refrain Newhaven audience member reflects on a moment of stillness whilst looking out to Seaford Bay. - Friday night audience member, #refrain #newhaven. The start of the final performance of Refrain. 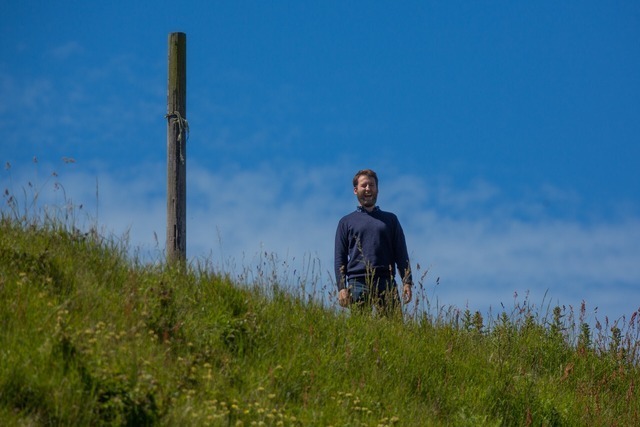 Solo male voice greets the audience as they enter the grounds of Newhaven Fort. 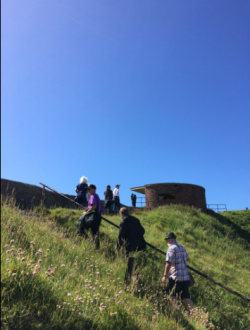 #refrain by Verity Standen @newhavenfort was excellent - remembering conscientious objectors of WWI, using only the male voice and resonance of the site. Very powerful and thought-provoking. 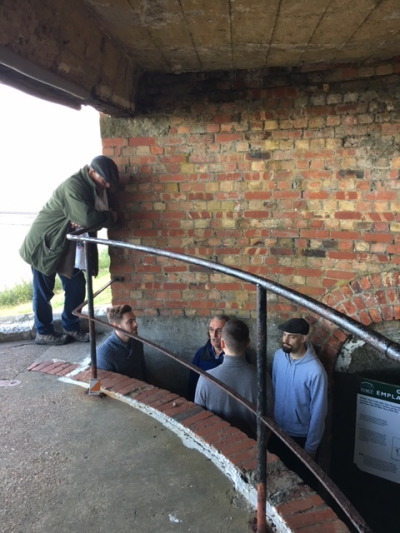 "Thanks @verity_standen @situationsUK @AttenboroughCtr for #Refrain @NewhavenFort - a powerful place, piece and project"
A moment of poignant reflection. 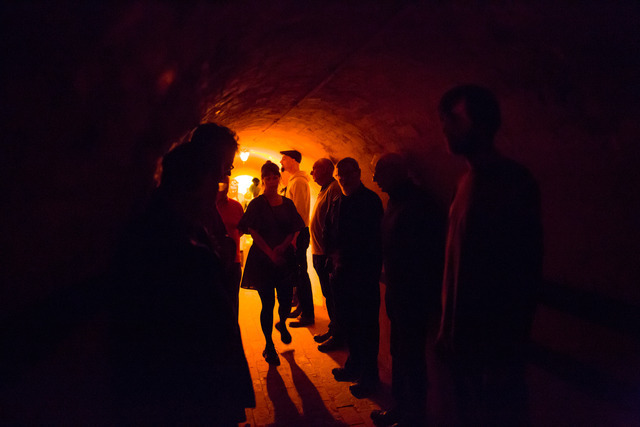 Choral sound reverberates around the underground of the Fort. Both performances of Refrain today (11am and 1.30pm) are SOLD OUT. There will be no tickets on the door. Following the song to a beautiful viewpoint over the coast. A potent place for reflection on the lives of those who refused to fight. 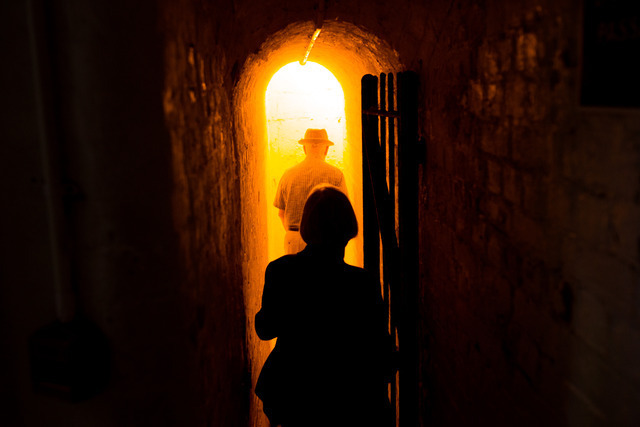 "Loved @verity_standen ’s #Refrain at Newhaven Fort last night. Visceral, multisensory and with a gob-smacking opening number. Yay!"